Few news items are more entertaining to track than the burgeoning web of rumors which surround any given Spider-Man film prior to production. While some carry a nugget of truth at their sensationalized center, the more entertaining ones are the flat-out gonzo speculations that emanate from more questionable sources (i.e. 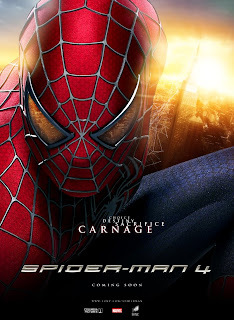 : “Thomas Hayden Church AND Topher Grace playing Chameleon!” … “John Jameson set to be the Hobgoblin in Spidey 3!” … “Aunt May IS Carnage!”).